This past March break, nine girls aged 10 to 13 got to explore what it means to be an inspirational woman as a part of the Girls Leading Change program. The leadership camp, run by YWCA Muskoka, sought to empower girls to discover their innate talents, beginning with a visit to the 150 Faces exhibit, a series of locally-submitted portraits celebrating women, at Partners Hall in Huntsville, Ontario. Each day after that, the girls were introduced to a different Canadian female role model and a different art form. The week culminated in a night of 11 performances (put together with very little adult input) that included spoken word readings, a silent film critique as well as displays of their own inspirational portraits to be included in the 150 Faces project. Family and community members, including the Mayor of Hunstville, attended the reception and the media was also there to speak to the girls, giving them another opportunity to make their voices heard. Of course, this program would not have been possible without the help of a Community Fund for Canada’s 150th grant. Not only did the grant pay for staff time and allow for the depth of research necessary for quality engagement, it also helped subsidize the cost of the program for campers in need. “Muskoka really struggles with poverty and intergenerational poverty so to be able to offer subsidies is really important to us,” says Schat. 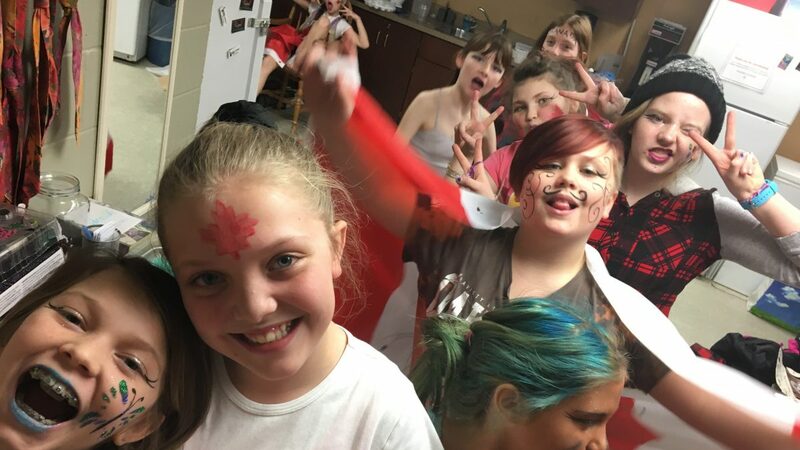 While there is hope the YWCA will be able to host another March Break camp like this in future, possibly for a younger age group of girls, a lot of it depends on funding. Regardless, the team will definitely be using the lessons they learned during Girls Leading Change to help continue to uplift young women in Muskoka through many of their other programs like Girlz Choice, Girlz Unplugged, Strong Girls, and more. Next Who Says Millennials Are Lazy?